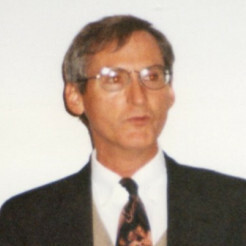 Robert Rodgers PhD was formerly Professor at the University of Texas at Austin and the University of Kentucky. He resigned his tenured faculty position to become the founder of Parkinsons Recovery which provides information, resources and support to persons who currently experience symptoms of Parkinson's disease. Robert is a graduate of the 4-year Barbara Brennan School of Healing, where he focused his studies on helping others heal from chronic illnesses. The purpose of attending this school was to learn how to deal with his untimely death of his wife, and what he was able to extract from the program was so much more. Today, with this knowledge, he is able to help others who are going through difficult obstacles and assisting them in making clear-headed and focused decisions for themselves. Since 2009 Robert has hosted health care practitioners on his radio show who are knowledgeable about therapies that offer the possibility of relief from chronic illnesses like Parkinson's. Robert is the author of Road to Recovery from Parkinsons Disease which addresses the causes of Parkinson's and natural therapies to treat them.